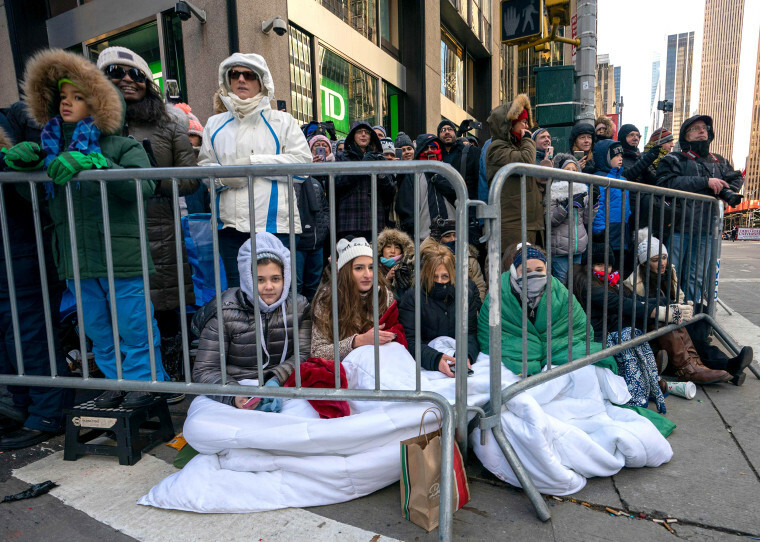 Thousands lined the streets to brave one of the coldest Thanksgivings in over a century as balloons floated and marchers danced in celebration of the 92nd Macy's Thanksgiving Day Parade. 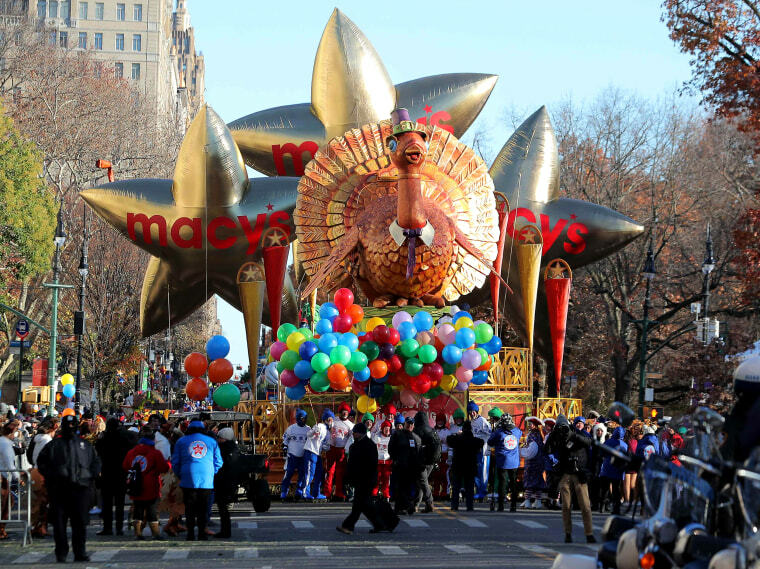 A turkey float gets underway during the 92nd Macy's Thanksgiving Day Parade in New York on Nov. 22, 2018. 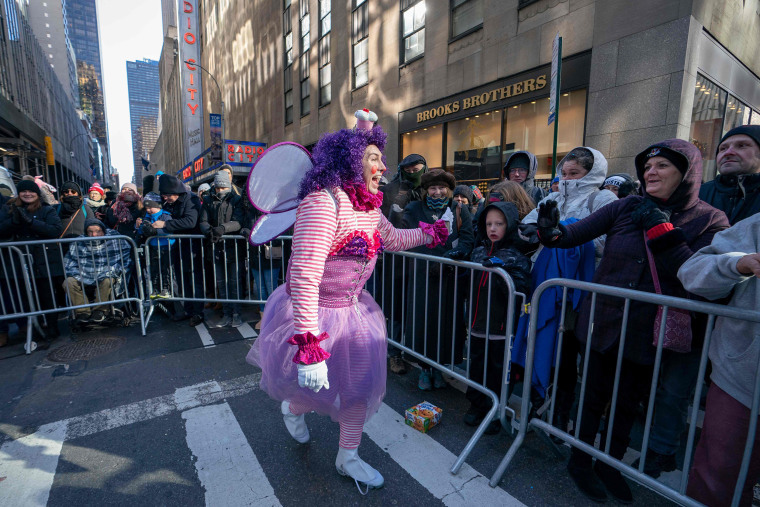 The annual parade, which began in 1924, features giant balloons of characters from popular culture floating above the streets of Manhattan. 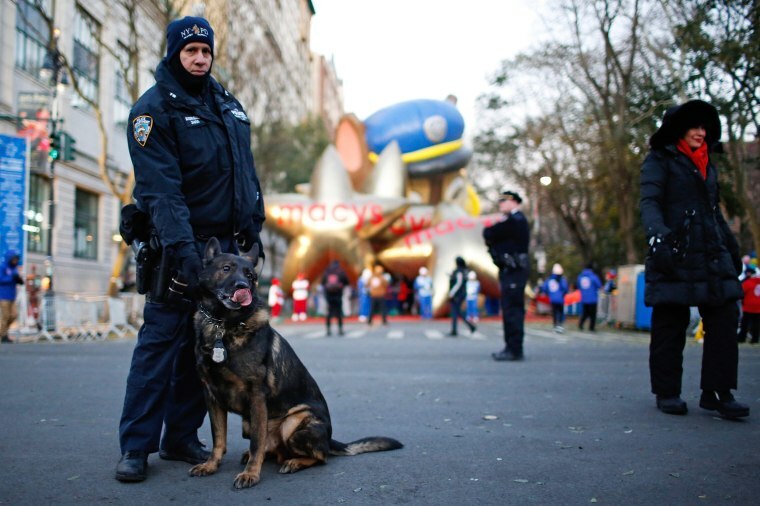 A New York Police Department officer and K9 unit stand guard as people arrive to watch the parade. 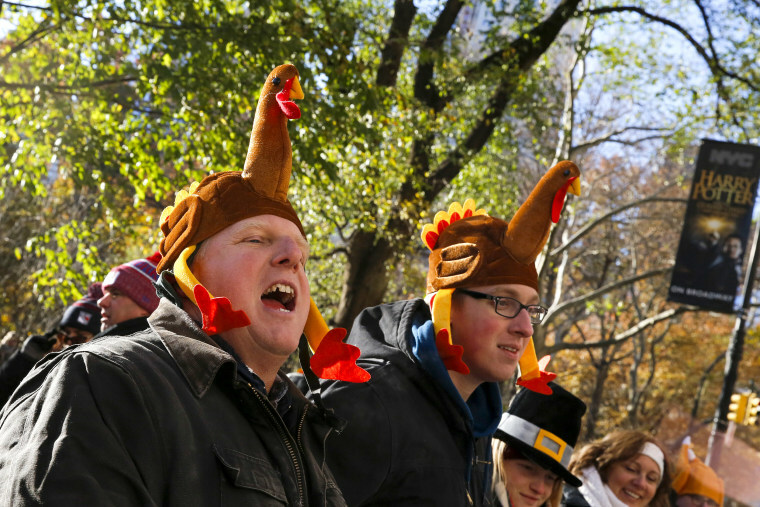 Thursday had the potential to be New York City’s coldest Thanksgiving since 1901, when the temperature only got as high as 26 degrees. The coldest on record was in 1871, when the warmest it got was 22 degrees. 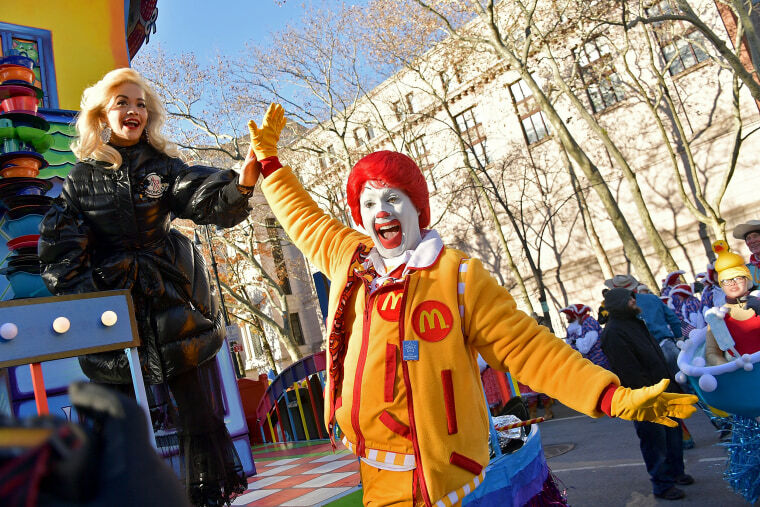 Singer Rita Ora high fives with Ronald McDonald during the the parade. 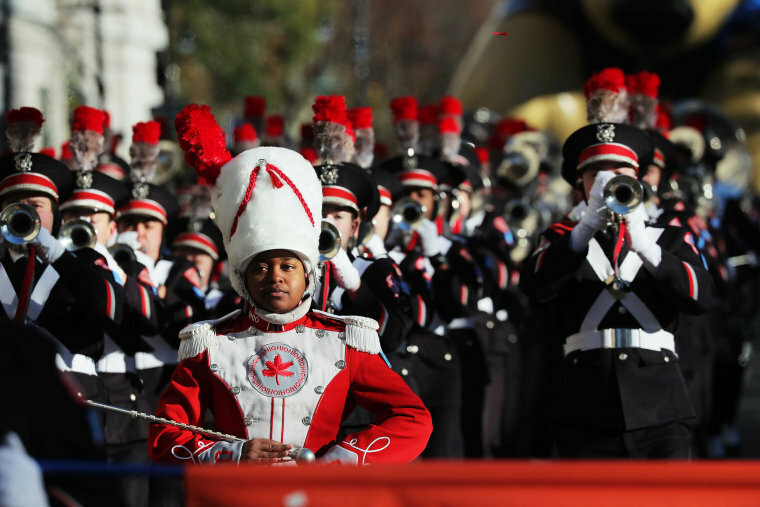 A marching band performs during the parade as they make their way down the Upper West Side. 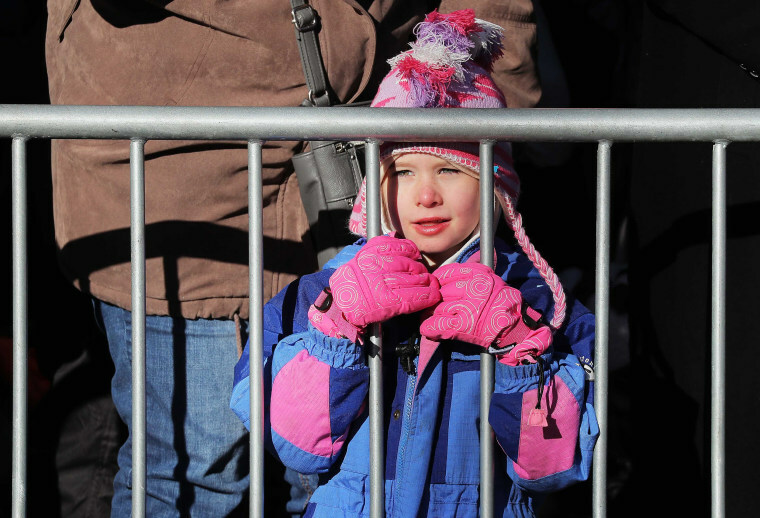 A child watches floats pass from behind a barricade, all bundled up for the colder than average weather. 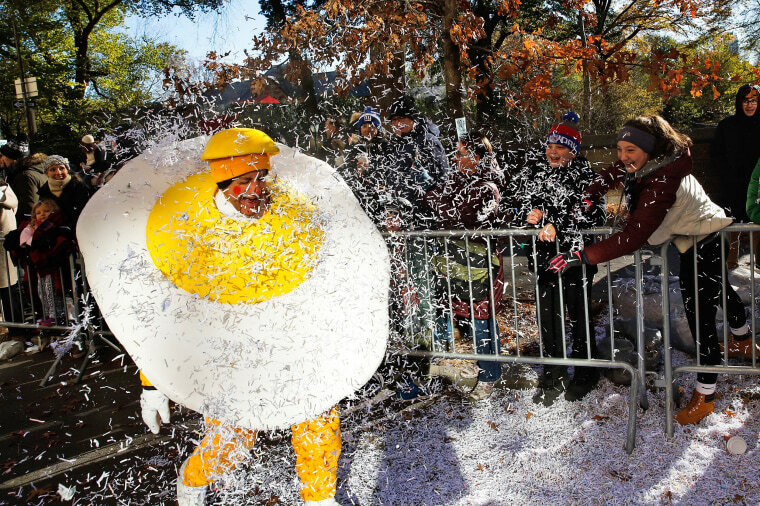 A performer is covered in confetti from the parade crowds. 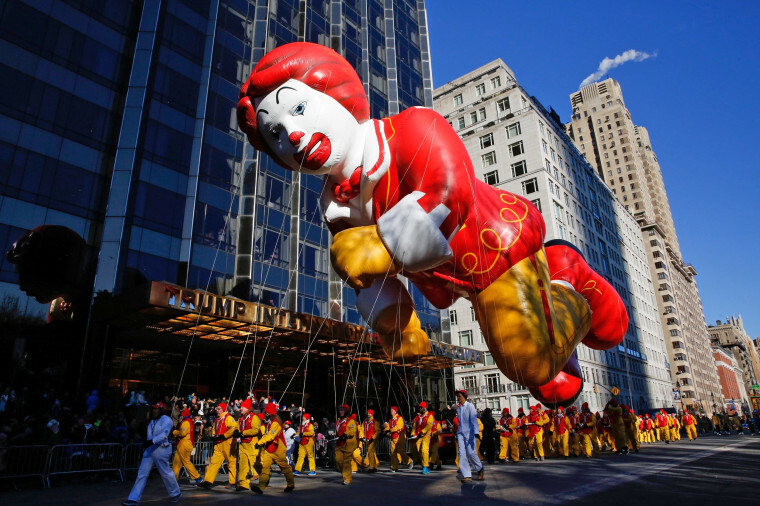 The Ronald McDonald balloon passes by windows of a building on Central Park West during the parade. 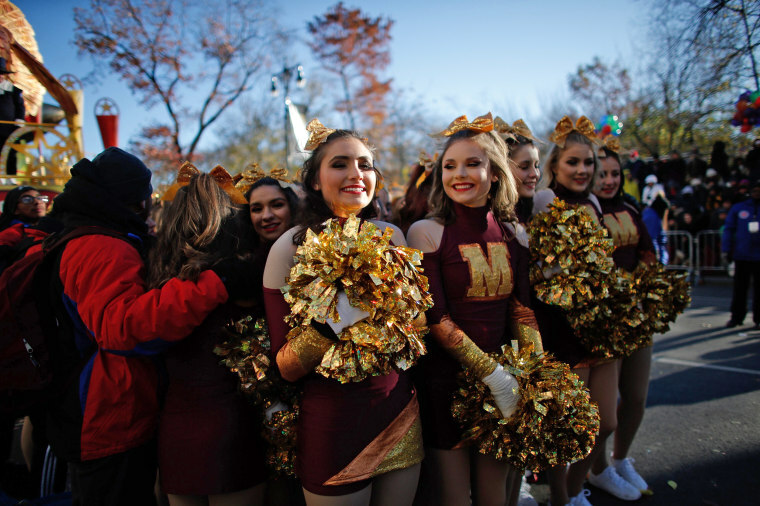 A cheerleader huddles for warmth before their performance in the parade. 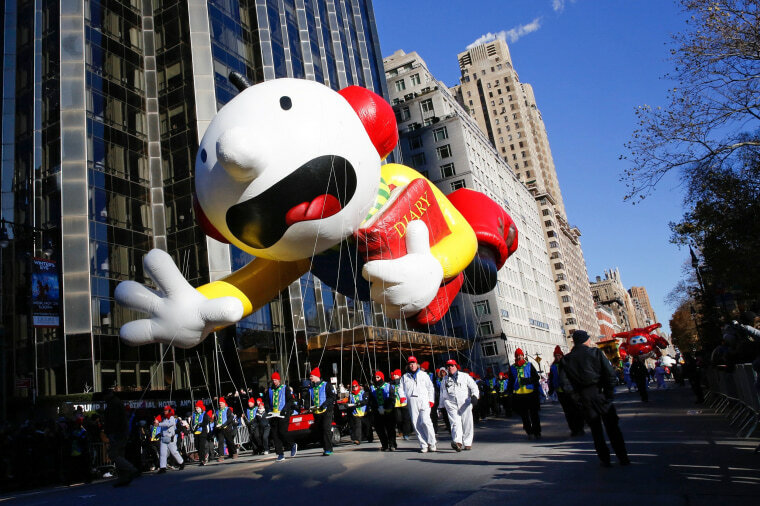 Greg Heffley from the "Diary of a Wimpy Kid" series balloon makes its way down Central Park West. Clowns wave to spectators during the parade. 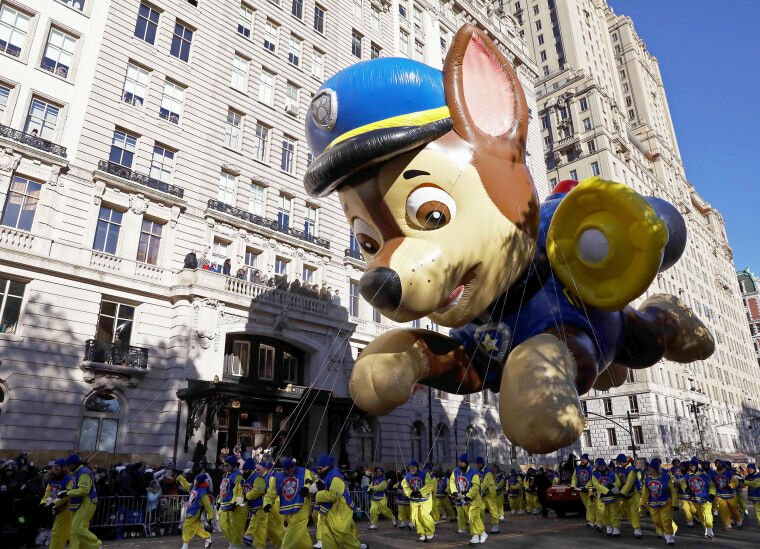 A Paw Patrol float hovers above its handlers and the crowd. The big balloons were cleared for takeoff just before the parade, although some of them floated at noticeably lower heights above the people holding their tethers. 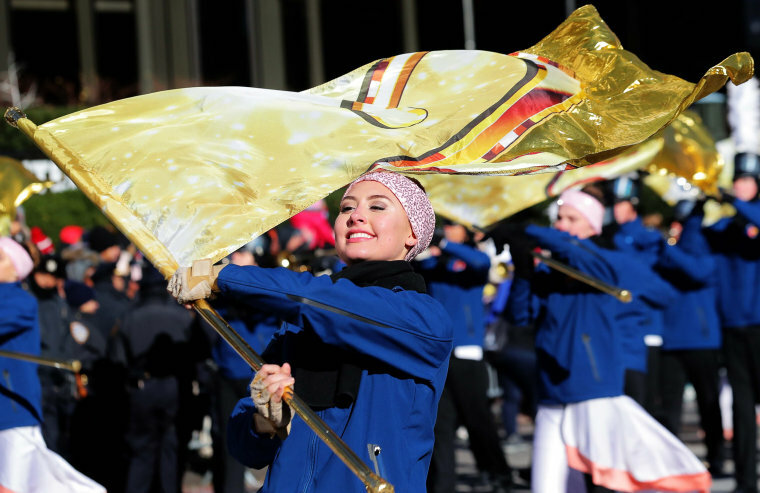 Participants wave their flags during their performance for the parade. 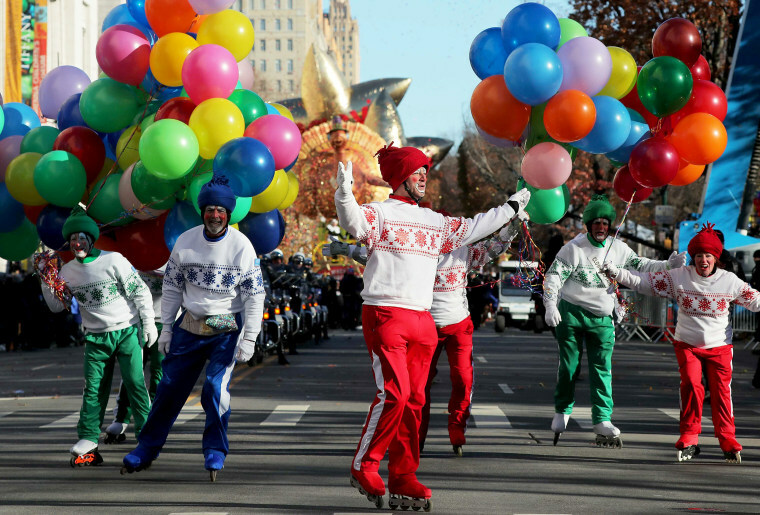 Clowns on roller blades skate down the parade route. 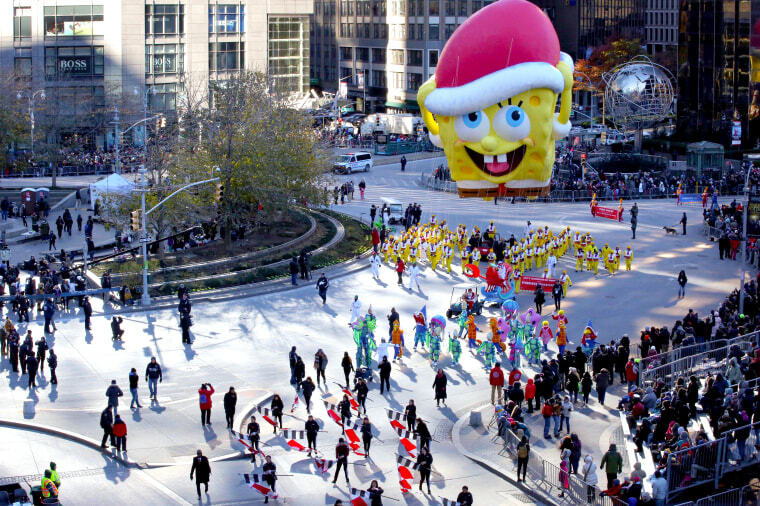 The Spongebob balloon makes its way around Columbus Circle, the south west corner of Central Park. 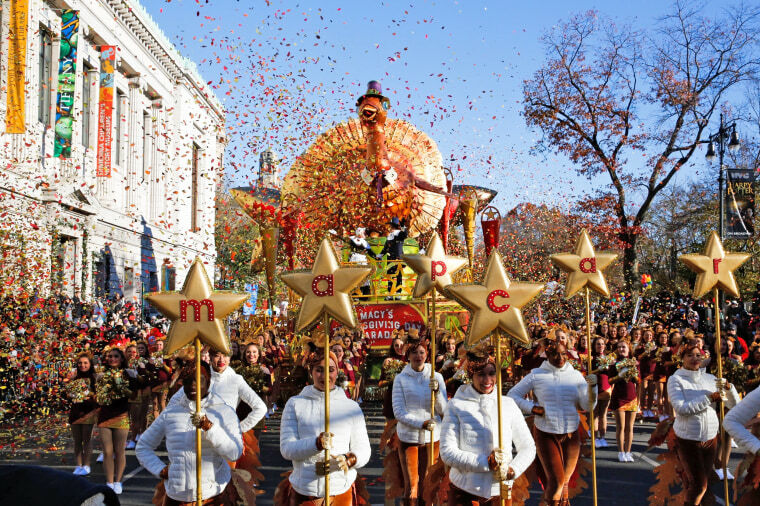 The Macy's turkey float makes its way through a celebration of confetti on the parade route. 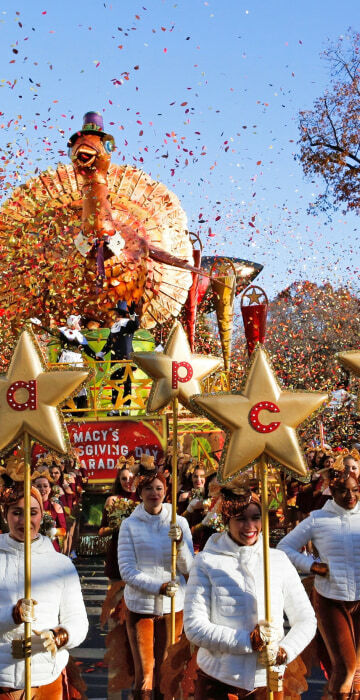 People shout as they attend the Macy's Thanksgiving Day Parade. 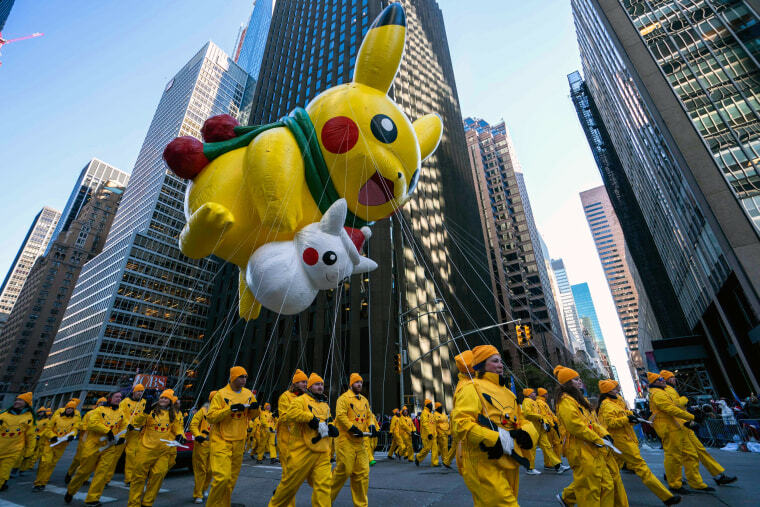 Pikachu and Snow Pikachu fly over 6th Avenue during the parade. 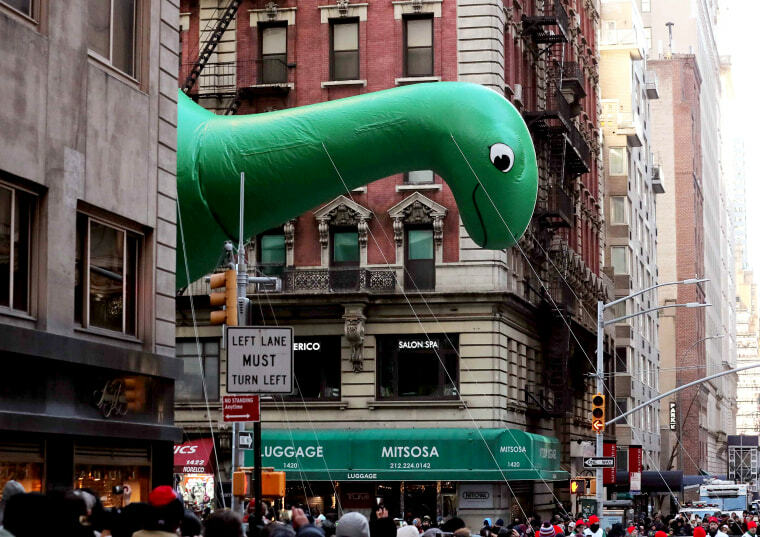 Sinclair's DINO float hovers above the crowd as it peeks out from buildings along the parade route. 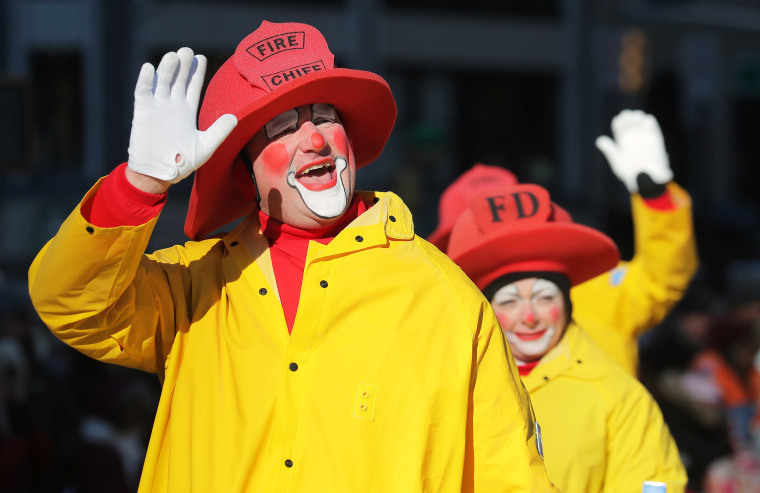 Clowns greet spectators during the parade. 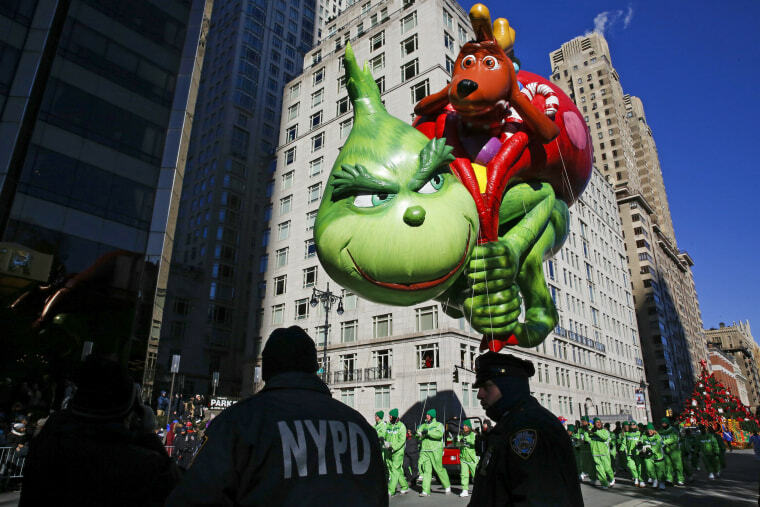 The Grinch balloon floats over Central Park West. 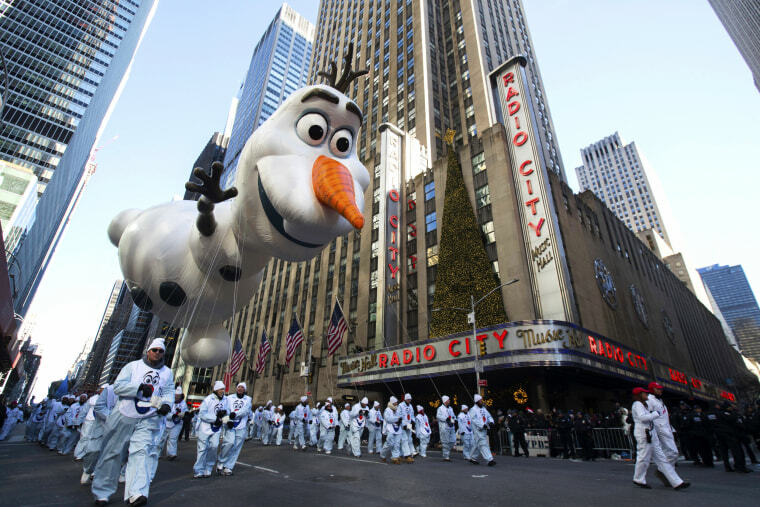 The Olaf balloon floats past Radio City Music Hall. 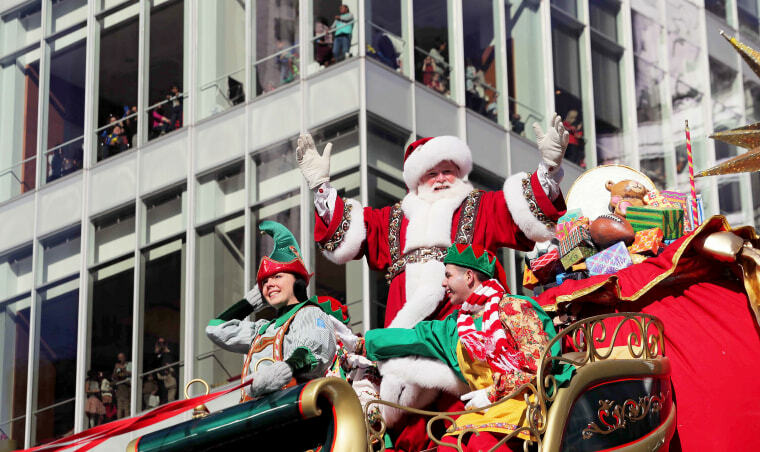 Santa Claus waves to the parade crowd.